KUALA LUMPUR: The Royal Malaysian Navy (RMN) expects to buy 18 Littoral Mission Ships (LMS) in its effort to strengthen the country’s maritime security, says Laksamana Datuk Seri Ahmad Kamarulzaman Ahmad Badaruddin. He added that the LMS would replace the older patrol ships. “It is cheaper to buy new ships than to maintain the old ones that are already 30 to 40 years old. Although the LMS is smaller, it is capable of doing a lot of missions. 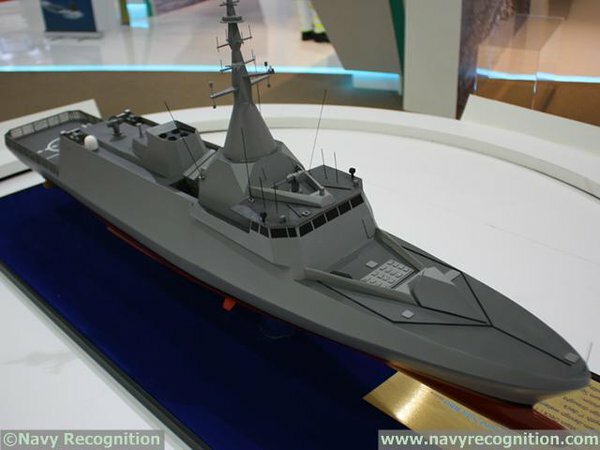 Ahmad Kamarulzaman said six new Littoral Combat Ships (LCS), which is bigger and faster, would also be received by the RMN between 2019 and 2023. The ships were acquired under the 11th and 12th Malaysia Plans and built by Boustead Naval Shipyard Sdn Bhd. “With the new ships in place, the RMN will be able to beef up its armada combat capabilities as the number of combat vessels would be 10, instead of four previously,” he added. It was reported that the six ships, estimated to be worth RM9bil, would be equipped with superior four-dimensional warfare capabilities for electronic, air, surface and underwater threats integrated with state-of-the-art systems. It also has stealth capability which reduces radar reflection to minimise visibility and detection and it is also capable of rapid launch and recovery of boats. Ahmad Kamarulzaman said the RMN was also set to consolidate all its naval units from 15 classes to five in an effort to strengthen the country’s maritime security. “This is part of the RMN’s transformation programme to strengthen its armada and also to be cost effective,” he added.